Planning the big night of your proposal in Napa Valley or anywhere, in fact, can be hectic. From constantly wondering if she is going to say, “Yes,” to worrying about whether you have the right engagement ring or not? There is just too much going on. The big night is all about the ring. You could wear your best suit and look the most dashing you have ever in front of your girlfriend but as soon as the ring is out, that is all everyone will be talking about. Which is exactly why you need to think long and hard about the perfect ring. To get some insight on which ring would be perfect, you can recruit some of her friends or even family to help you out. They can tell you the type and size so you have a starting point. Then find one that fits your budget. Remember, you don’t have to go overboard when it comes to spending on the ring. Just make sure you pick one that will have her eye’s light up as soon as she sees it. The importance of the location is second to the ring. Napa Valley is filled with beautiful locations which can make any proposal grand and memorable. From the Love Lock Bridge to the Napa River Walk, you have countless different places to choose from. So do your research and if you feel like you want to propose in a specific way, with friends and family around or have fireworks afterward, make sure the location can accommodate. Who doesn’t love sharing their most cherished moments with family and friends? Which is exactly why you should consider having them be a part of the proposal. 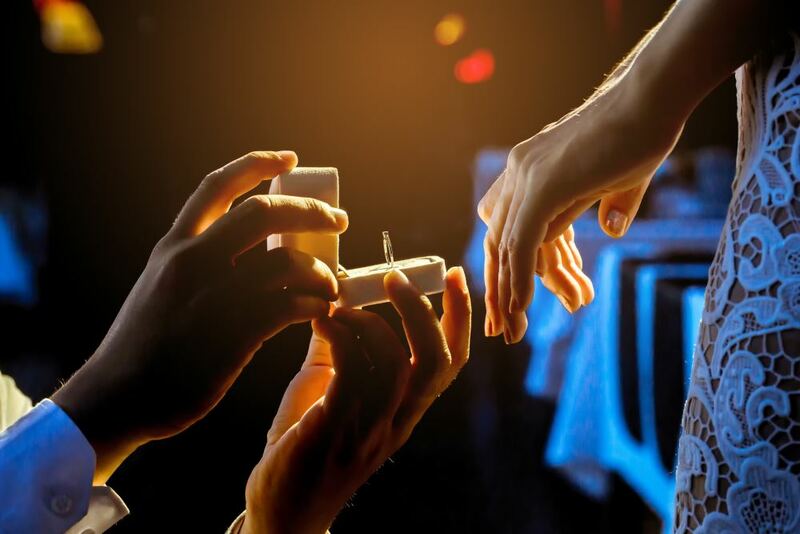 Don’t just have them stand as bystanders, you can make the proposal special by involving them in it. This will be the icing on your “proposal cake.” Remember the more the proposal touches her heart, the less chance she will say no. You can find numerous different photographers that are willing to work as “secret” photographers. Which is what you will need so the surprise stays intact. They can take photos and videos throughout the proposal, secretly prior to the question and out in the open afterward. Capturing the moments of the big night for you and your soon to be fiancé to cherish for the rest of your lives. With these four covered, you should have a wonderful proposal. But wait, you also want to make sure that the logistics for you, the family, friends, and your girlfriend are all taken care of. Which is where our Napa Valley car service can help you. We offer a reliable, secure, and comfortable Napa Valley limo service which can help get everyone to the location of the proposal. Our chauffeurs are professionals and will take all the stress related to logistics off your head so you can focus on everything else. Not just that, all your guests including your girlfriend with reach the location in style.